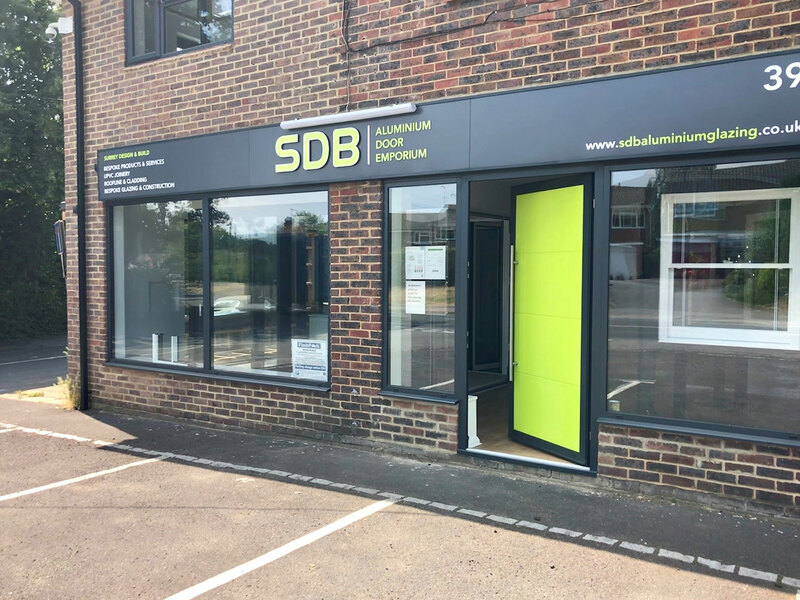 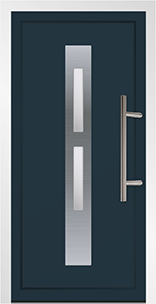 44mm thick composite door panel comprising two pressed aluminium sheets on the outer faces with an injected thermally efficient core. 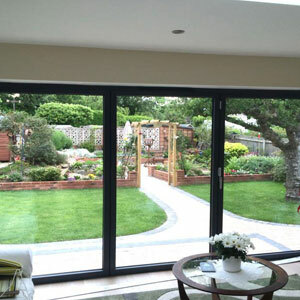 Aluminium outer frame construced using the Schuco ADS 70 High Insultation system. 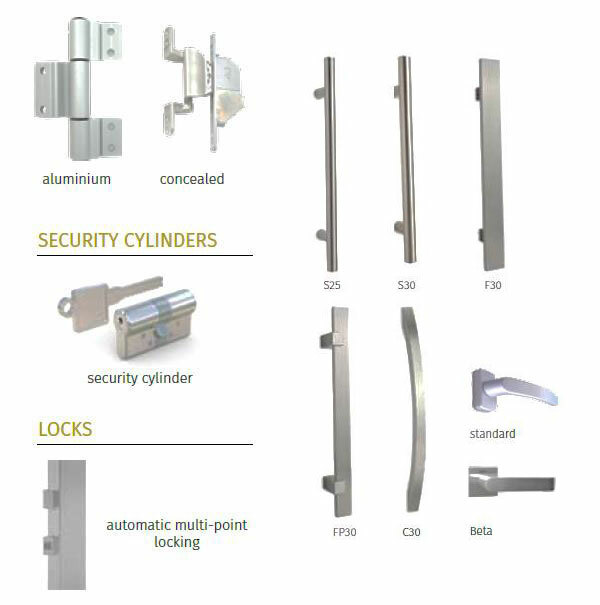 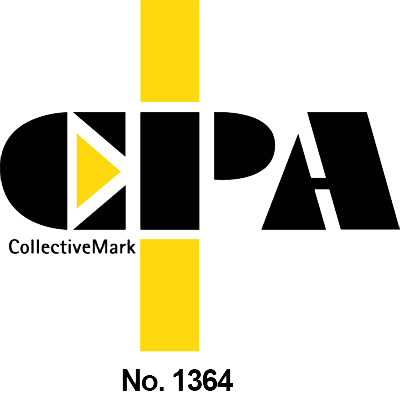 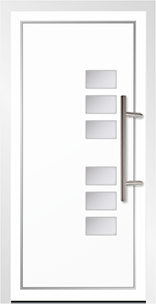 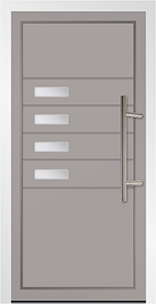 The widest range of contemporary stainless steel hardware options on the market. 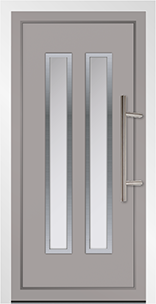 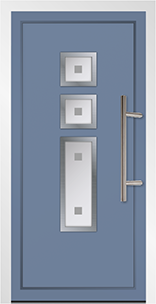 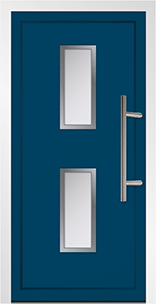 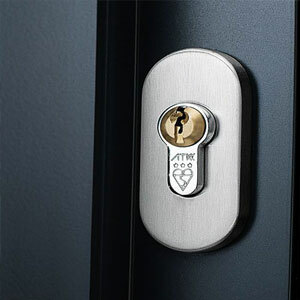 Fitted with slam lock as standard, whereby the door locks automatically on closing. 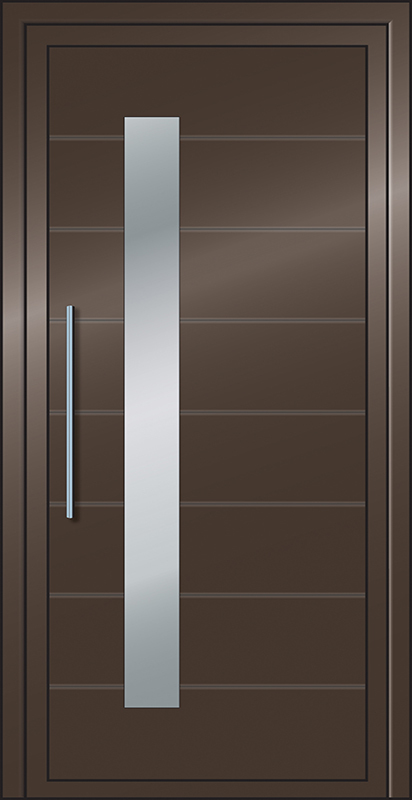 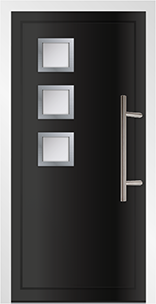 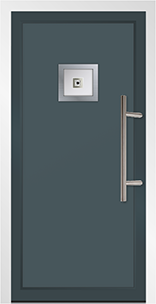 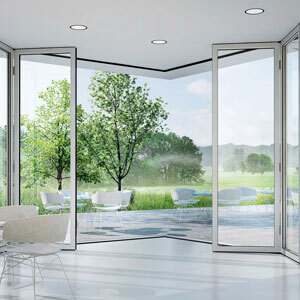 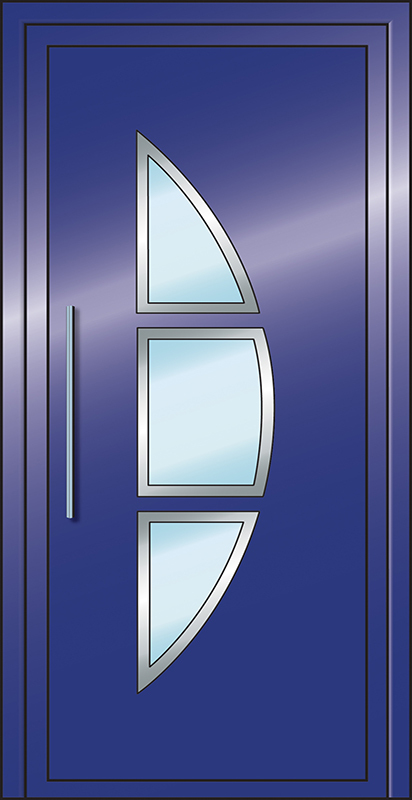 Dutemänn Haus doors come with an automatic five point lock, security cylinder and three extruded aluminium hinges as standard to ensure the highest possible security for your home. 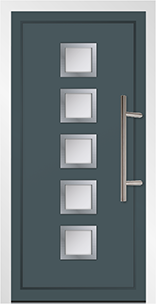 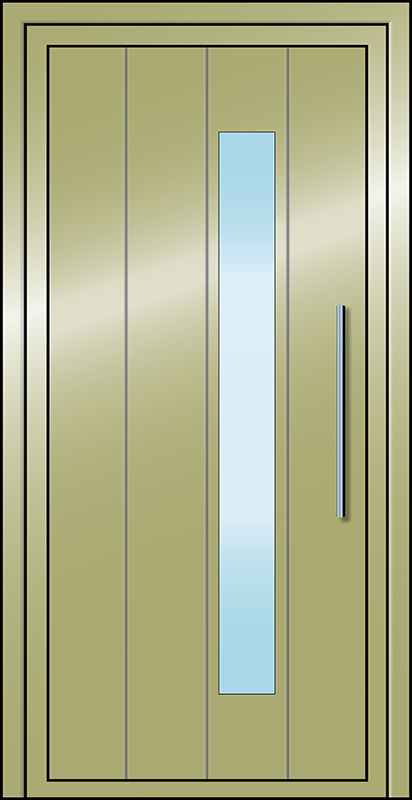 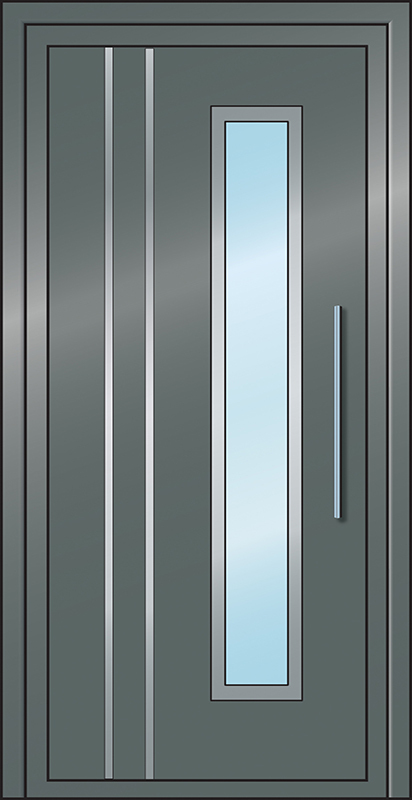 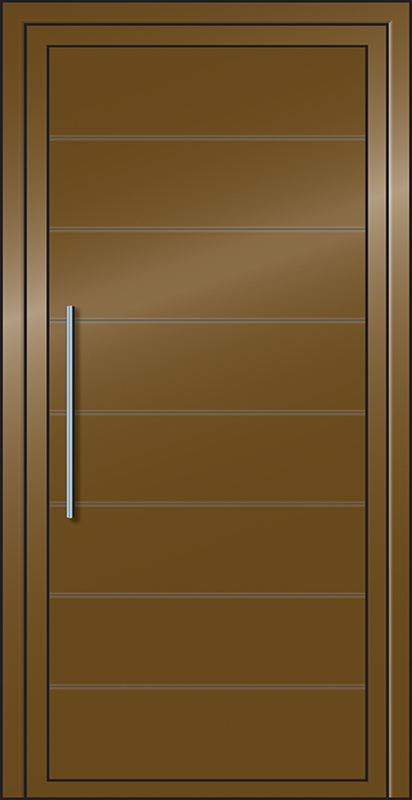 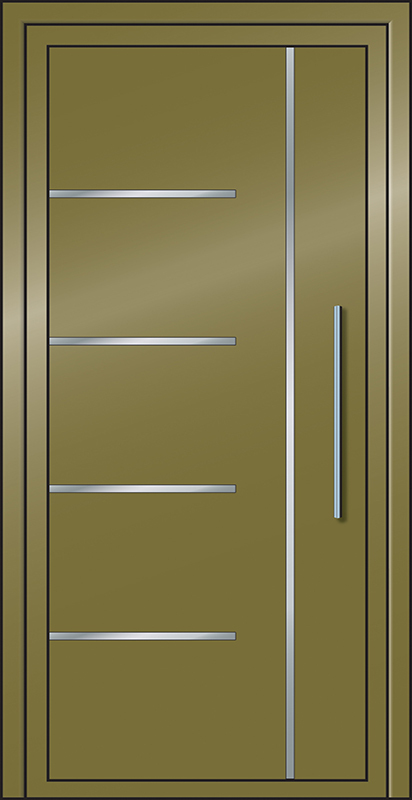 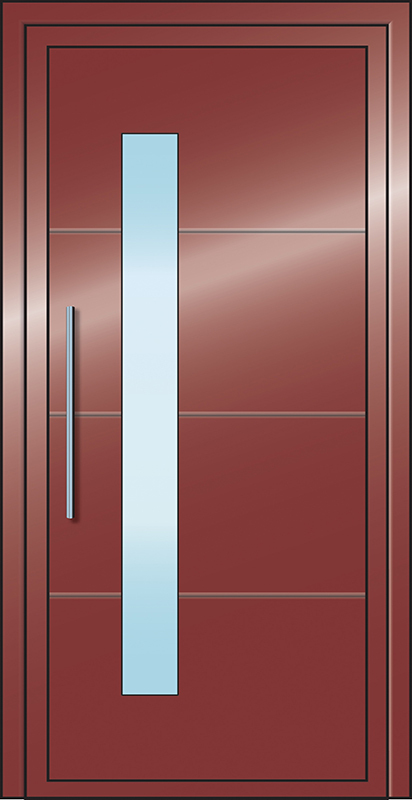 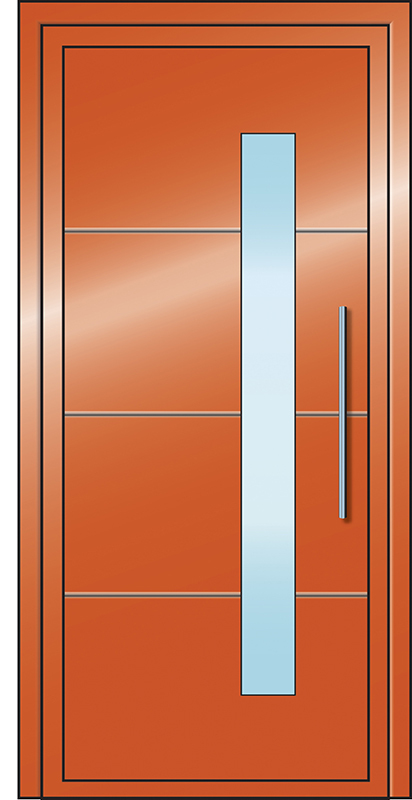 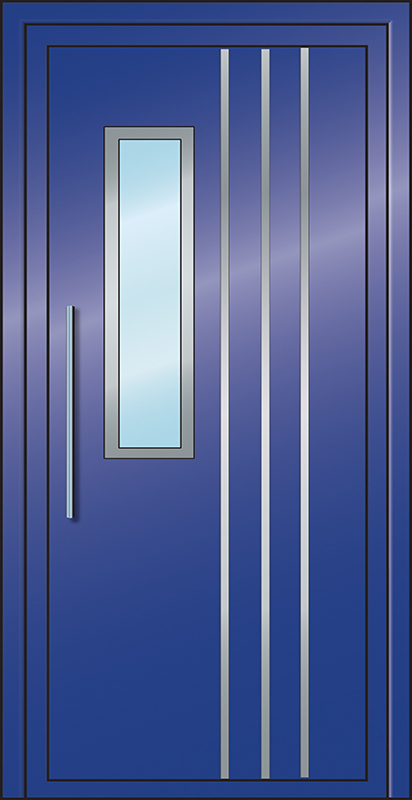 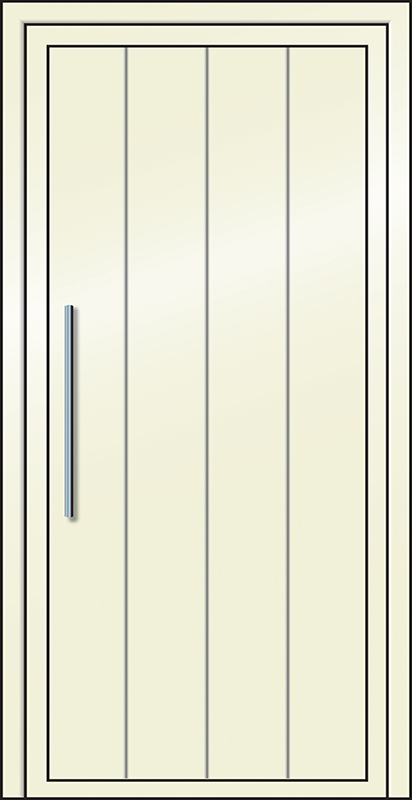 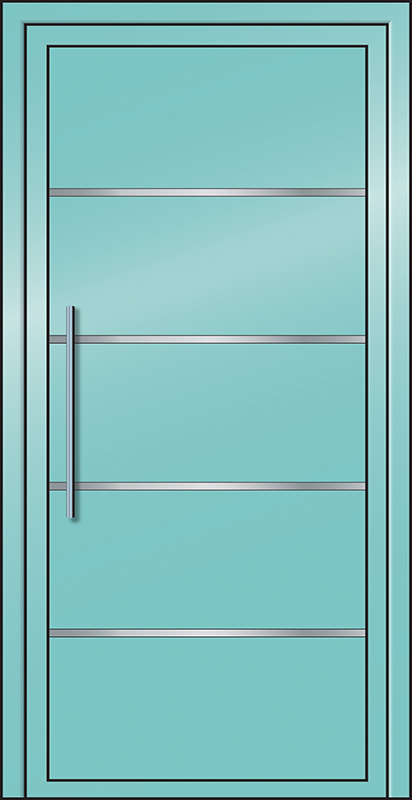 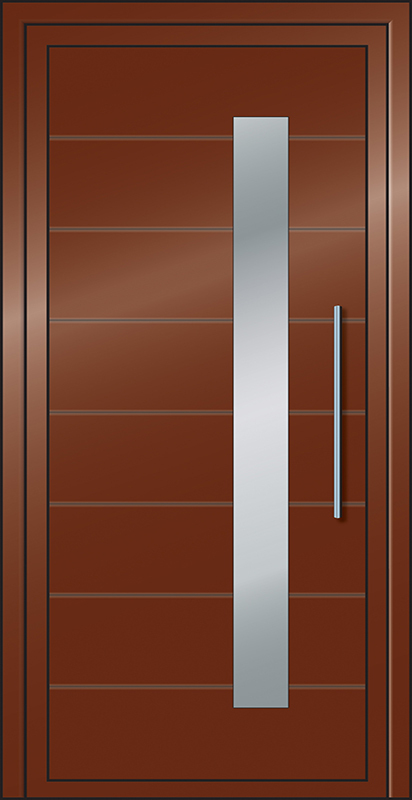 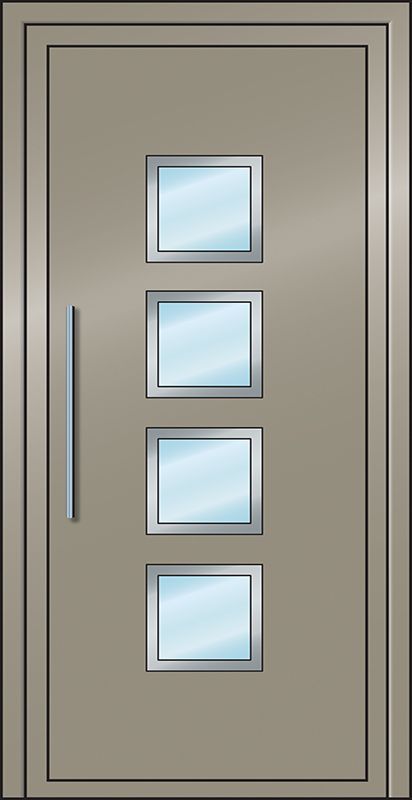 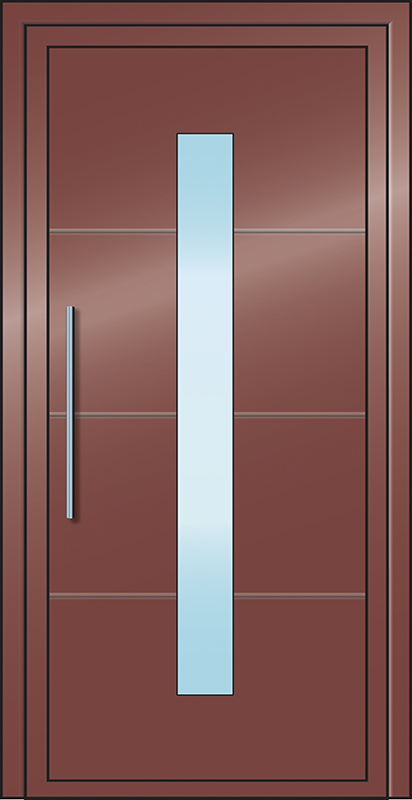 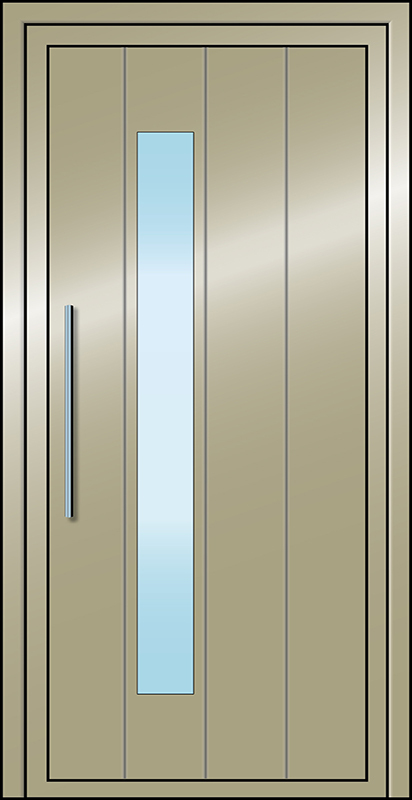 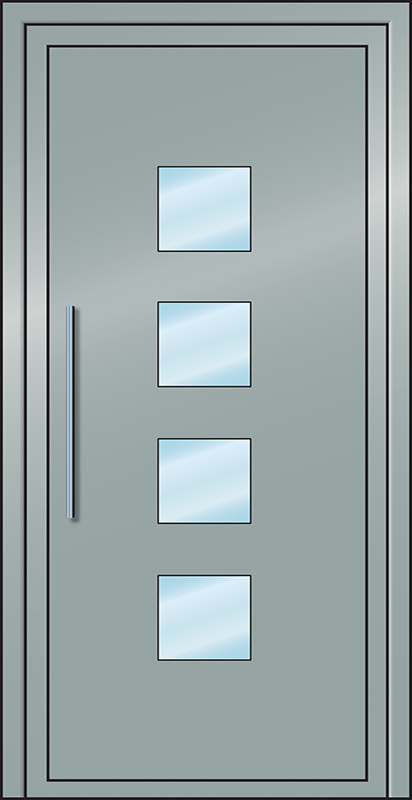 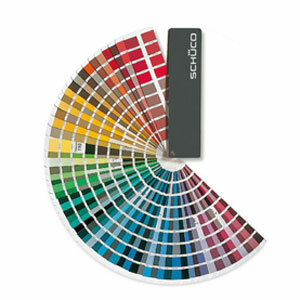 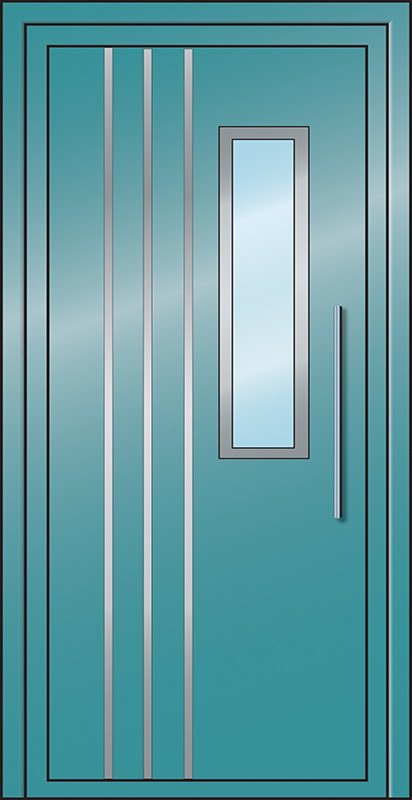 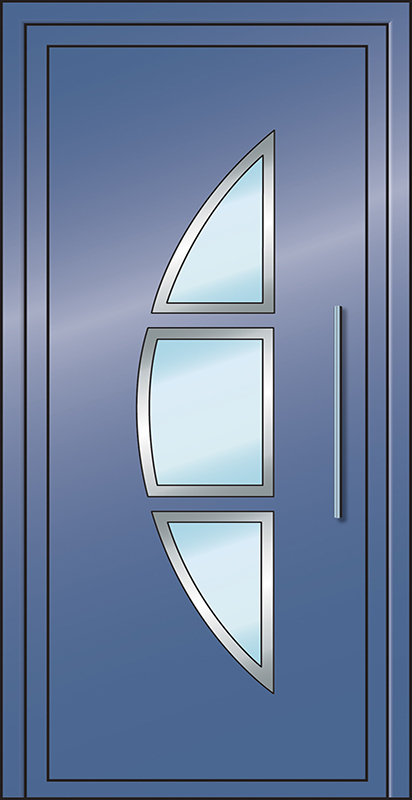 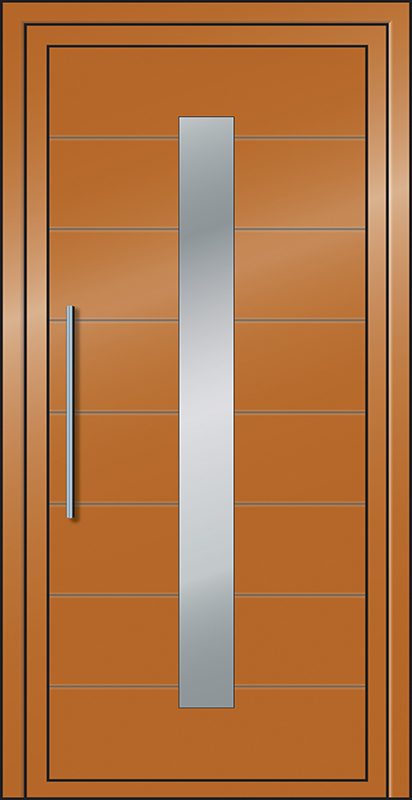 There are many style options, concealed hinges options. 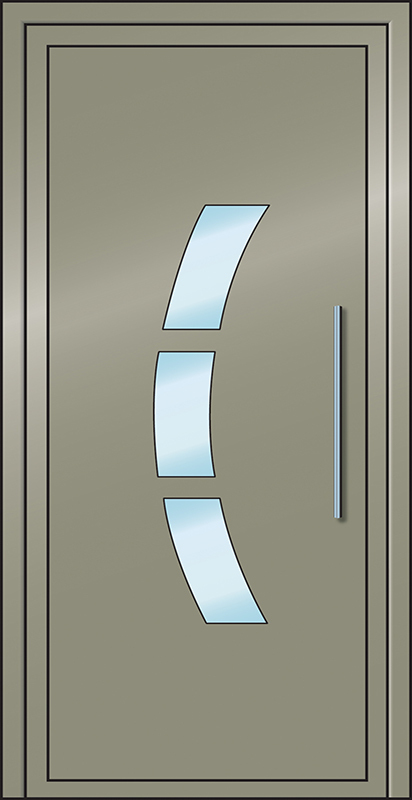 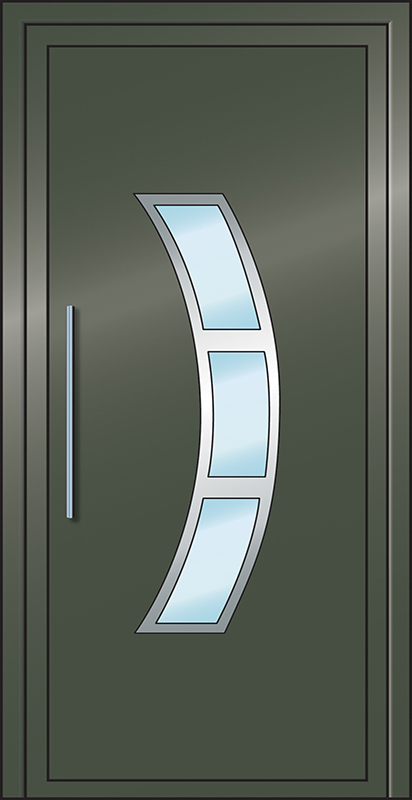 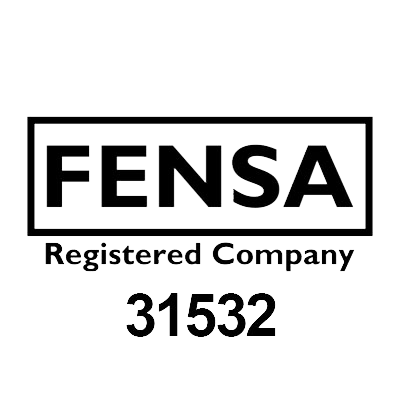 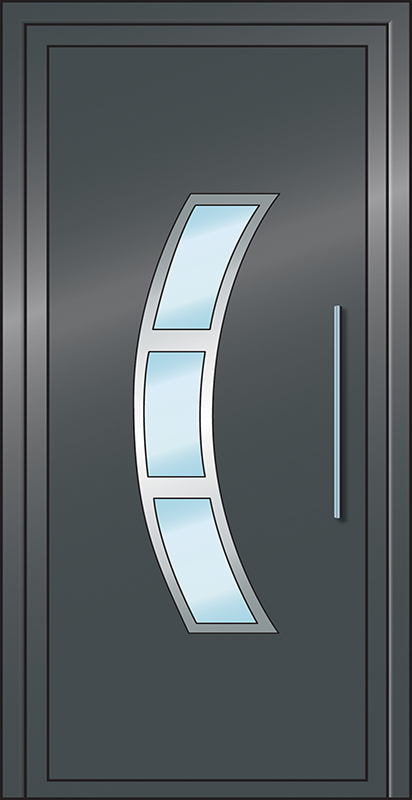 Locking systems can be upgraded to interface with electronic systems including proximity devices, fingerprint or retina technologies. 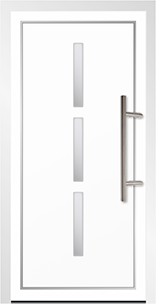 Designer and standard/straight handles manufactured in marine grade stainless steel. 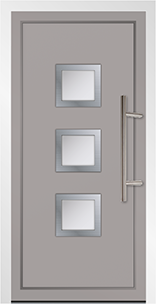 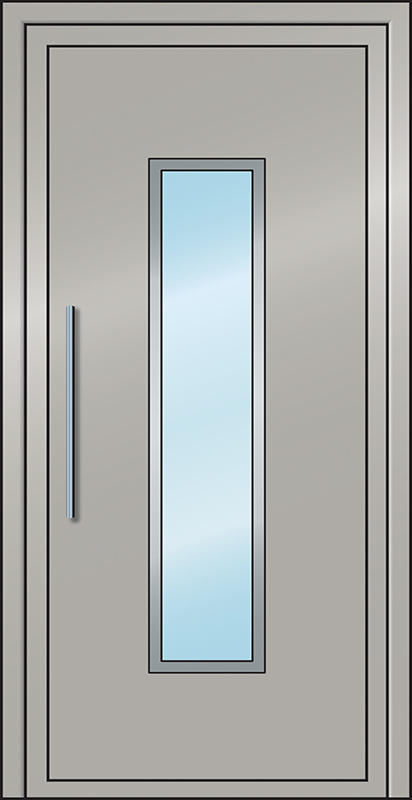 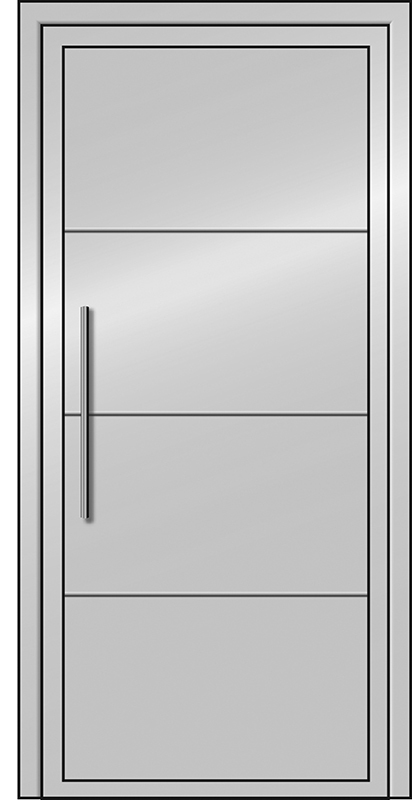 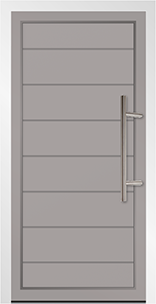 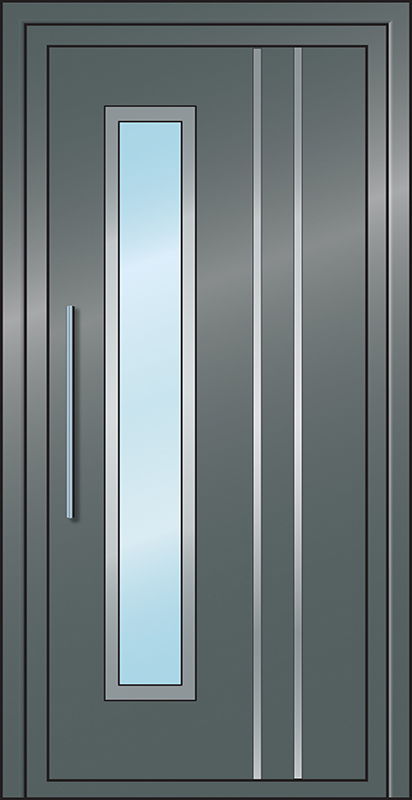 Internal handles available in brushed steel as standard with black and white options also available.